We bring saraswat people together. * Vivah mitra is very important section of Saraswat Mitra monthly magazine. * This service is FREE for the subscribers of the magazine. * Non Subscribers may pay Rs. 100 ONLINE. * If you pay online kindly send us email with bride/groom details for publication. 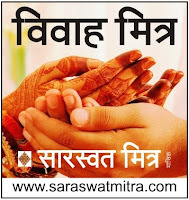 * Information about Saraswat Community brides and grooms is published every month in Saraswat Mitra Magazine. * Subscribe magazine now! 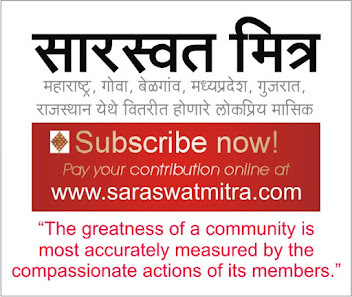 Visit www.saraswatmitra.com for online payment of subscription fee. * If you have any query please call us or send email or WhatsApp message.